5 Lives Studios strategy based action game Satellite Reign comes to PC in its complete form after months of residing in Steam Early Access. With the final build now available and the launch imminent, is this cyberpunk game worth investing in. 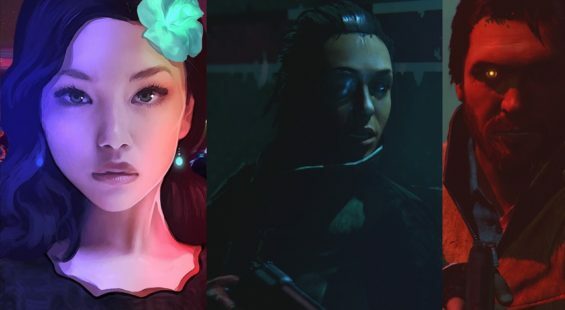 Take a look at our Satellite Reign review for the full picture. Today we’re taking a look at Five Lives Studios class-based strategy action game Satellite Reign which is being billed as the spiritual successor to the classic Syndicate Wars from 1996. The game has been available in Steam Early Access for quite some time and now is ready for a final release. A lot has changed since we first played the game and now is a much more accomplished title, although from what we remember the core game was already very good despite some glitches which are all ironed out. In a nutshell, players assume the roles of four cybernetically enhanced “agents” working for a shadowy organization amidst a backdrop of debauchery, dodgy dealings and crime across a fictitious futuristic city. Each agent has its own role to play and come as Soldier, Support, Hacker and Infiltrator. There are four main districts to work in with the aim of getting more equipment, disrupting the opposition, raiding banks and such like. From the off it’s easy to get into as players are introduced to the basics via a handy tutorial , but it’s really some hours into the campaign that the game’s intentions become clear. Starting out in the lavish Downtown district players are given an overall objective entitled Project Satellite Reign which involves various activities such as hacking ATMs, opening up fast travel by way of relay beacons and unlocking access to the other areas. In between, there’s a wealth of alternate objectives which involve infiltration into restricted areas and stealing tech, weapons blueprints, money and other goodies. What’s neat about the free-form gameplay is how players can tackle the objectives in any order and using either stealth or full on assault. Going the stealth route is much harder to pull off and requires some patience, but with clever use of each of the Agents skills such as the Infiltrator’s cloak it’s possible to sneak around without being detected which is an accomplishment in itself. The Downtown area begins events with limited opposition and a topography that’s fairly easy to navigate, however, as players move through the zones into the Industrial, Grid and Business District the layout becomes a little more complex and the security forces protecting it ramp up their equipment and skills. If there’s any real complaints to be made about the gameplay and it has to be levelled at the missions themselves which lack variety. As players move into new areas they essentially repeat the same tasks as before but in a different playground. The challenge is certainly there in spades as missions become tougher to complete, but after so many hours repeating tasks becomes a bit too familiar. That said, what’s neat about the gameplay is having the choice of upgrading the skills of the agents to suit ones playing style and providing a possible alternative approach to each mission, so should you require a more gung-ho team of individuals then there’s the option to assign them the appropriate gear from a variety of silenced or loud assault rifles, lasers, pistols and such like. There are also augmentation upgrades or even research tech for further improvements players can invest in. If required there’s the option to hijack any civilian and clone them which is worthwhile as some have interesting stat bonuses worth taking advantage of – also when an agent is killed and re-spawned in, they lose some of their base stats. The character development in general does take time and quite a bit of cash which if players are smart and hack the ATMs in each area means the money keeps rolling in every second that passes and can build up quite quickly in the background whilst out on a job. 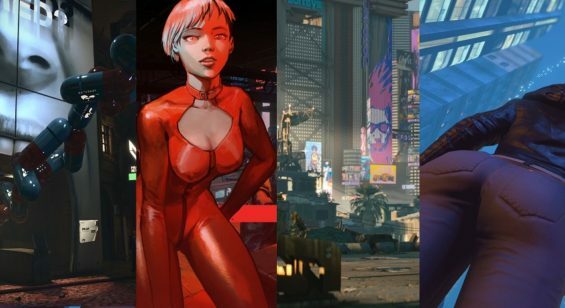 Satellite Reign boasts some excellent art direction within its four distinct areas with an abundance of neon lighting, futuristic structures and populated areas making for a spectacular visual assault. It’s obvious a lot of care and attention was placed into making the game’s looks feel enticing and with animated billboards and familiar looking logos there’s a real joy simply exploring the open world areas at leisure. Players can zoom in close to get right in on the action and see some cool effects like dynamic shadows when there’s perhaps a conversation or static action taking place, but mostly the top down view from afar provides a wide enough area to keep an eye on. Sadly there’s no manual rotation of the camera but in fairness the game’s auto panning does a fine job of keeping the agents in view at all times. Audio is of mixed bag here with a cool synth based soundtrack that sits in the background but lacks variety which means after some time begins to grate. There’s an abundance of environment sound effects which are quite pleasant to listen to with the music muted which is good the option exists. It’s a sparse game in terms of audio, and sadly lacks any real voice over elements which are included at the start of the game and then unusually disappear resulting in text based descriptions. Players can spend quite a number of hours exploring the game and although there’s some repetition here in terms of the missions it’s going to take quite a number of hours to complete them all. So in this regard players will get their monies worth. Sadly elements such as the classic “persuadertron” which allowed the agents to amass armies of civilians isn’t available and building destruction didn’t make the cut either which is a shame as it could have added some more layers to the missions. However, from what is available there’s enough here to sink ones teeth into despite the lack of any multiplayer or co-op elements. 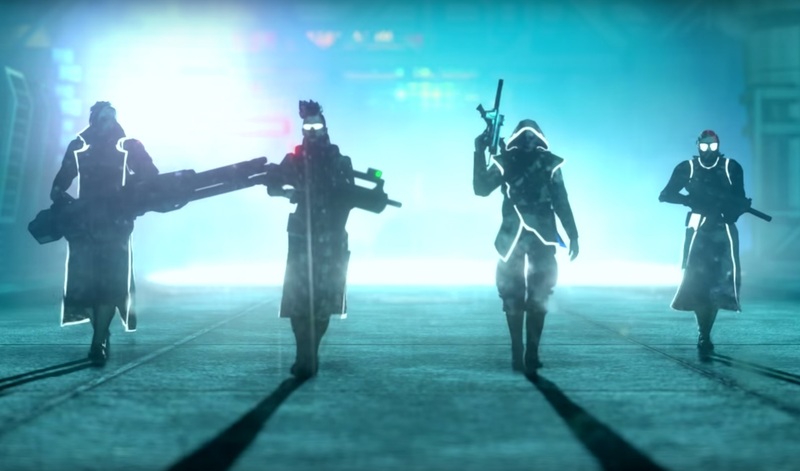 Satellite Reign, is a worthy successor to the classic Syndicate Wars as it does a far better job than the first person shooter EA made a few years back. The game’s looks are impressive and the gameplay whilst a little repetitive is engaging enough to draw you in for hours at a time. It has to be said, this isn’t a quick game and does require some time investment to get the most out of it. It’s also not a flawless experience where at times agents can get stuck in doors or their pathing leaves little to be desired as they try to enter restricted areas rather than going around – so some baby sitting is required at times. Sadly the removal of vehicles which were present in the earlier builds slows the pacing down a bit, making navigation a little tiresome, although the fast travel and no loading between areas makes up for it in many ways. As a game for action strategy fans, this is well worth checking out due to its engrossing structure and fine presentation. There’s a lot of fun to be had here for those with time and patience, although if anything, the game’s lush visuals alone are worth the price of entry.